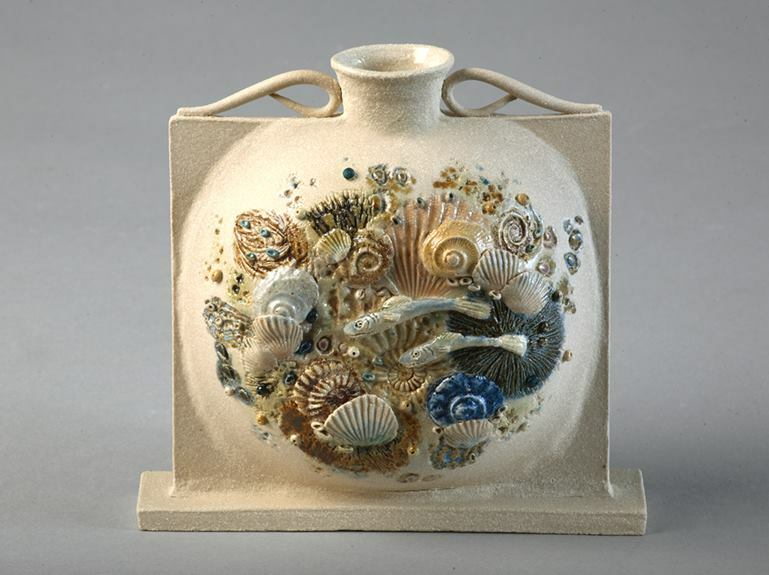 Having spent my working life in the Art Departments of local schools, it was a pleasure to concentrate on producing my own work, once I had retired. 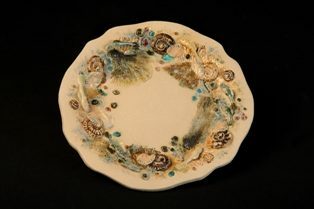 I produce a range of stoneware pots, platters and planters, all of which are based on a Jurassic theme. 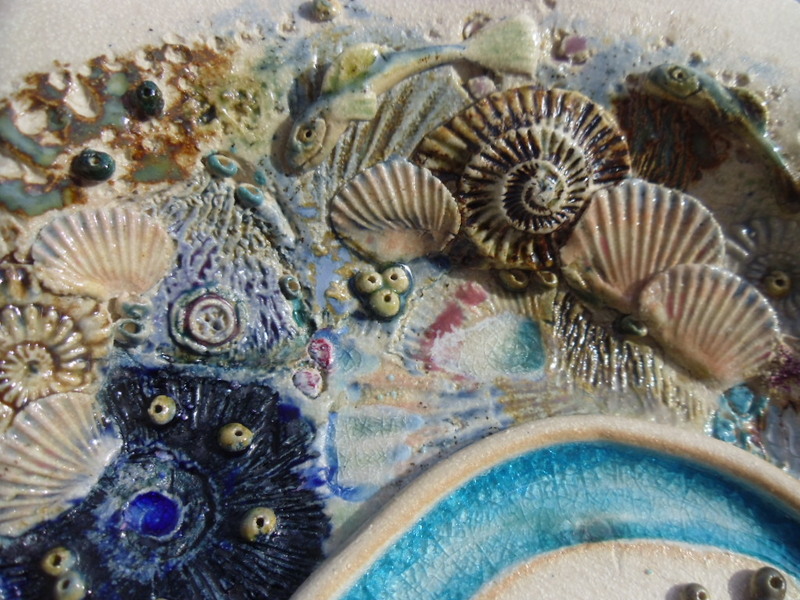 The Dorset coastline never fails to inspire me and I enjoy using the fossil forms found along the cliffs and I sculpt the fish, shells and plants of the sea to be found in the rocky pools. 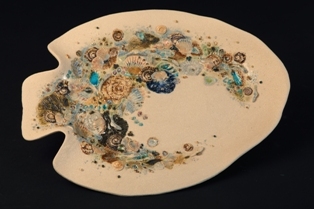 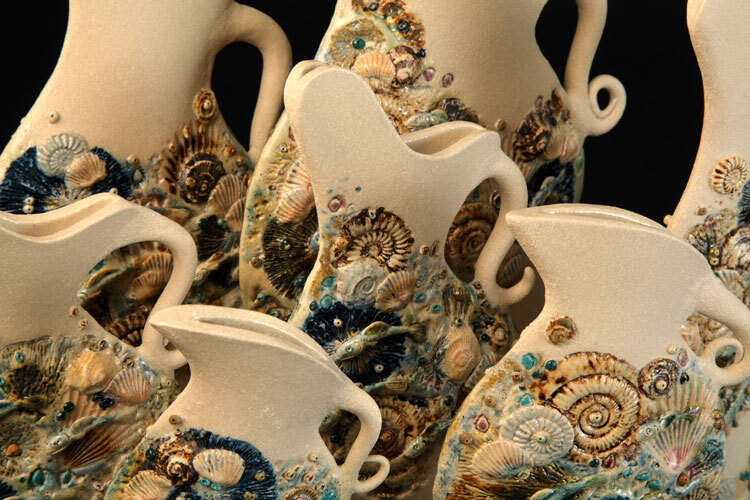 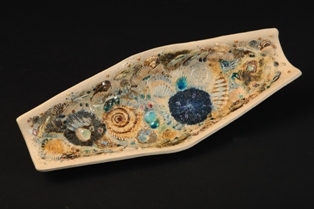 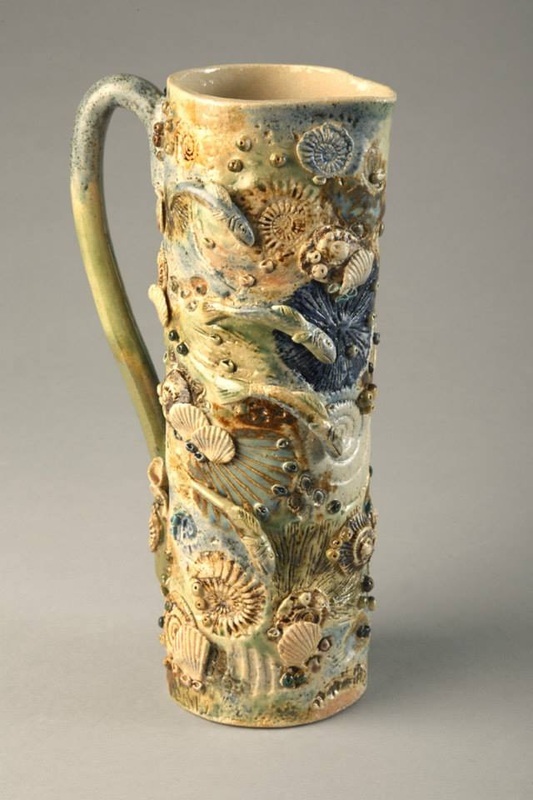 I have also been influenced by the sixteenth-century potter, Bernard Palissy, and the contemporary ceramicist, Kate Malone, (both of whom illustrate their work with raised surface decoration). 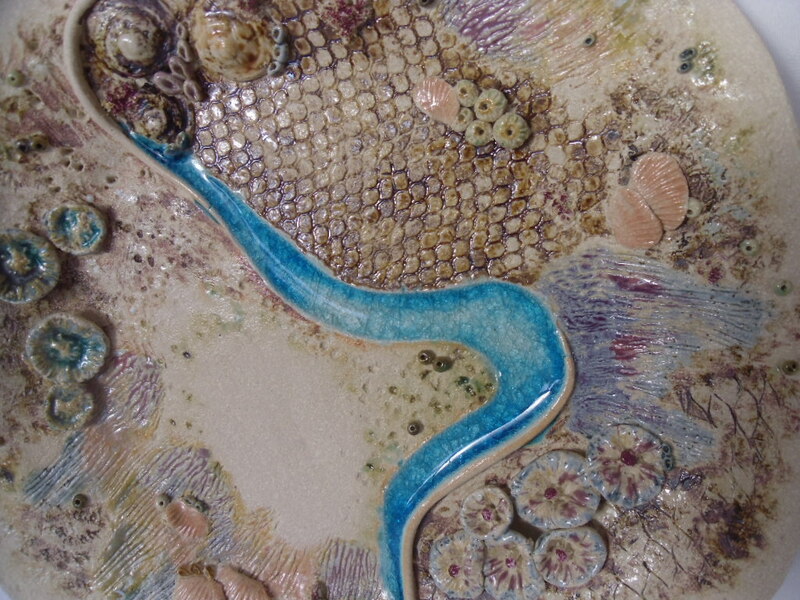 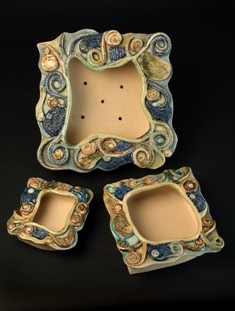 My work has impressions made in the soft clay along with other sculpted detail. 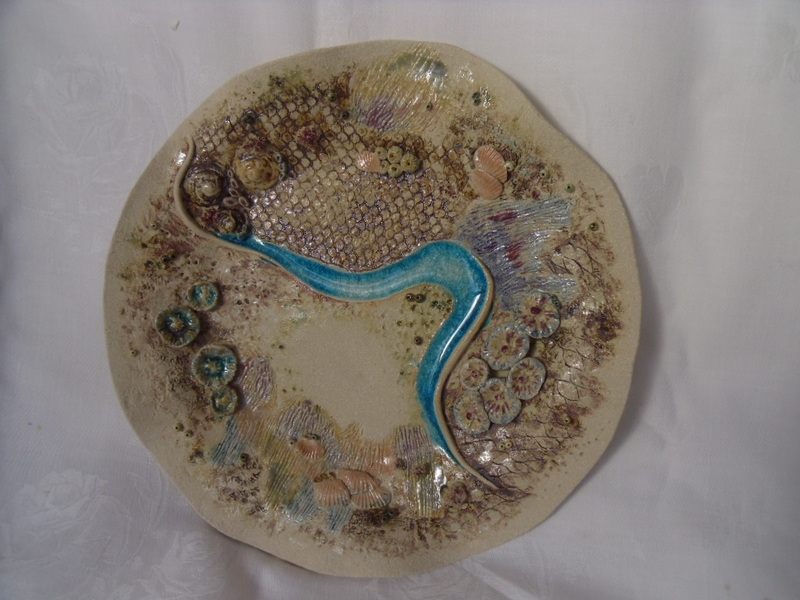 I use a range of oxides, underglazes, glaze and crushed glass, which is then high fired, to produce an encrusted effect. 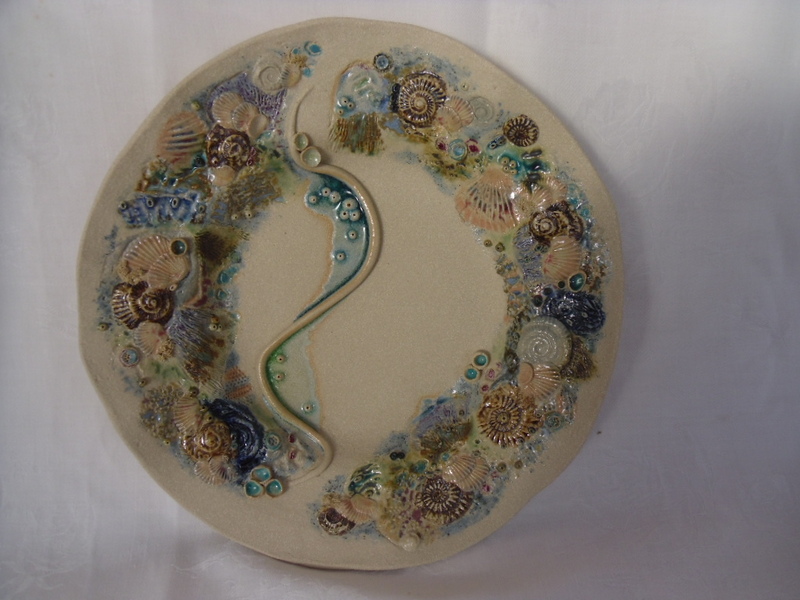 Recently, I have started to produce a range of pictures in terracotta clay, using coloured slips and underglazes to depict the undulating hills, valleys and vegetation to be found in the countryside bordering the Jurassic coast. 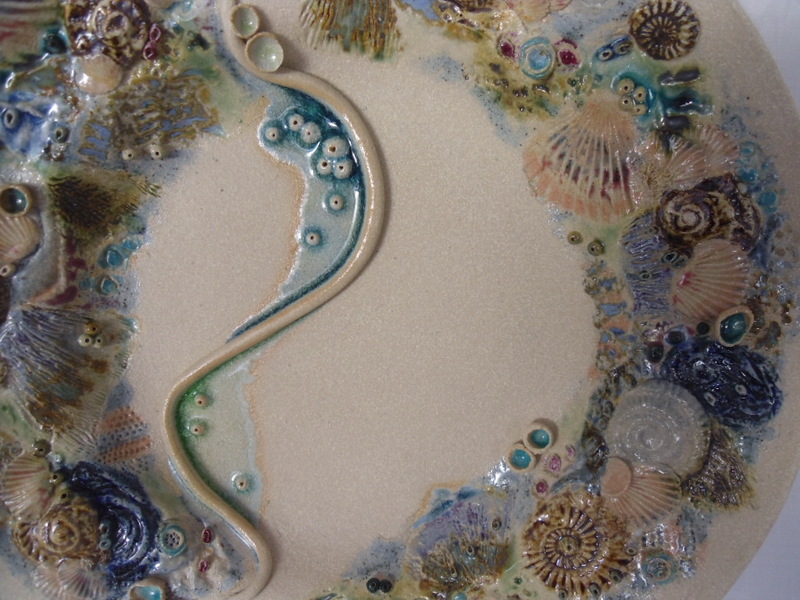 Address: 1 Old Pines Close, Ferndown, Dorset BH22 8DR.